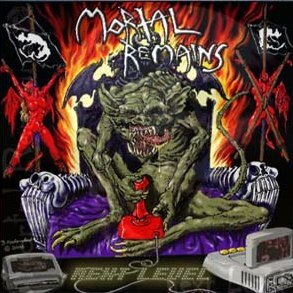 Mortal Remains is a Thrash-Metal Band from Western Germany, which revives the oldschool Thrash of the 80s. 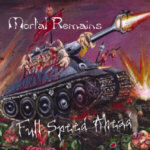 Mortal Remains was also a death metal band from South Shields, UK, who released a split 12" with Lord of Putrefaction on Dave Gedge's Nuclear Gore records (that's the Dave Gedge out of L.O.P, not the one from the Wedding Present!). The Tracks were Excoriate, Stench of Humanity, Infected and Embyonic Rupture. 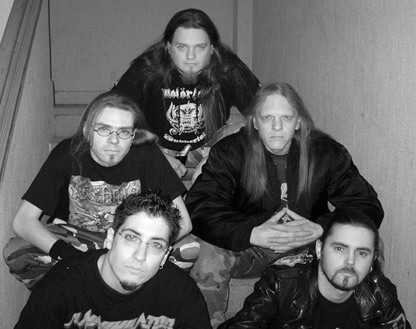 Keith Cahill (vocals) and John Boundy (bass) went on to form Grudge with Steve Wingrove (ex-Hellkrusher) and Duncan Kelsall (ex-Mortal Terror). As far as I know, John is now playing bass for Blunt Wound Trauma.